Word-of-mouth has been believed to be the best strategy to market a product. While it is true in a conventional way, the ways and means of doing it have changed a bit. In the modern online marketing era, word of mouth extends beyond friends and family recommendations. We have now started looking towards influencer marketing. There are, in fact, people who organize all the content that goes across the internet. These are people who contribute to the growth of social media in ways that are commendable. These people are none other than the so-called Social media Influencers. So, what exactly do Social Media Influencers do? Their job profile basically involves connecting with people, informing them about various products and topics; and most importantly, shaping their opinions. Most social media influencers are people who work in a specific niche. They help people to know about products, brands, and services. They give their opinion to people about the usefulness of a product. 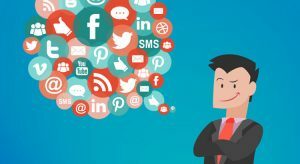 Social media influencers are in fact masters of the content industry. They create content which is valuable for people and for brands. They have a huge fan base on social media. They endorse or promote brands for others. They talk about the products and help in creating brand awareness. Consumers who are fans of the influencers trust them. This leads to more conversions and helps the partners to gain profit. Influencers have great SEO knowledge. They can contribute in getting genuine backlinks and driving traffic to a site. They can even optimize a website’s search engine ranking. Social media influencers have their presence everywhere. They have a good amount of following in all the major social platforms. Business owners, especially those who have a Pinterest account and like to give their business a boost can really take the help of social media influencers. Influencer marketing for Pinterest can be immensely beneficial for business owners. From optimizing your content to amplifying your pins, these people can do everything for you. You surely are to benefit from having their services. They can increase your Pinterest followers to a huge extent. Like all other platforms, Pinterest too needs quality contents to get noticed. Once you have that, you can be sure to get more Pinterest followers. A Social Media influencer can really come to your help in getting good content and quality photos for your product. And with the massive reputation of the influencer, you can surely have the benefit of having your product marketed to a lot many people. Social Media influencers are in fact a priority for every brand today. It is cost effective and the products can reach to a large number of consumers at the same time. The growing trend of online marketing has made Social Influencers very popular. They really do influence people by marketing products and brands. They make a brand’s online presence trustworthy. We hope you found this article informative. Please let us know your views and suggestions in the comment section below. Thanks for reading!